What's On At The 61st BFI London Film Festival? Comprising 242 feature films screened in 15 cinemas over 12 days, the full programme of the 61st BFI London Film Festival (LFF) makes for an exciting read. From the event's opening gala (Andy Serkis' Breathe) to its closing film (Martin McDonagh’s Three Billboards Outside Ebbing, Missouri) there are so many must-see films to choose from. I am excited for such films as Guillermo del Toro's The Shape Of Water, Lynne Ramsay's You Were Never Really Here, Yorgos Lanthimos' The Killing Of A Sacred Deer, Sean Baker's The Florida Project and many, many more. LFF will host 28 world premieres, nine international premieres and 34 European premieres. The feature films will include: 46 documentaries, 6 animations, 14 archive restorations and 16 artists’ moving image features. The programme also includes 128 short films, and 67 countries are represented across short film and features. Each evening of the Festival will see a Headline Gala presentation at Odeon Leicester Square. Meanwhile, films in Official Competition and Strand Galas will be presented at the 820-seat Embankment Garden Cinema. LFF opens with the European Premiere of Breathe - the directorial debut of Andy Serkis. Andrew Garfield stars as Robin Cavendish, a man paralysed by polio whilst in Africa and given just months to live. Against all advice, Robin’s wife Diana (Claire Foy) brings him home from hospital where her devotion and witty determination inspire him to lead a long and fulfilled life. The Festival closes with Martin McDonagh’s Three Billboards Outside Ebbing, Missouri. This darkly comic drama sees Mildred Hayes (portrayed by Frances McDormand) take a stand against the town's revered chief of police, William Willoughby (Woody Harrelson) after months have passed without a culprit being found in her daughter’s murder case. LFF’s Festival Gala is The Florida Project. There has already been much buzz surrounding Sean Baker’s film about childhood innocence set within America’s failed economy. The BFI London Film Festival Awards celebrate the highest creative achievements of British and international filmmakers showcased in its Competitive sections. 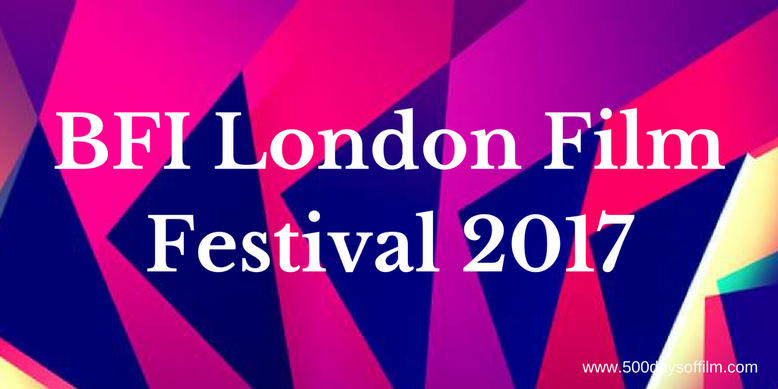 The winners in each competition are selected by festival juries and announced at the LFF Awards on Saturday 14 October. The Best Film Award is presented to the winner of the Official Competition; the Sutherland Award is presented to the winner of the First Feature Competition and the Grierson Award is presented to the winning film in the Documentary Competition. Director, Paul Greengrass, will be presented with the BFI Fellowship award at this year’s Awards ceremony. The Festival will also host events (called LFF Connects) that feature artists working at the intersection of film and other creative industries and Screen Talks - a series of in-depth interviews with leaders in contemporary cinema. Participants this year include Julian Rosefeldt and Cate Blanchett, David Fincher, Demis Hassabis, Nitin Sawhney, Johan Knattrup Jensen, Ian McEwan and Takashi Miike. LBGT - In the year of the 50th anniversary of the partial decriminalisation of homosexuality in England and Wales, the Festival presents a powerful LGBT line-up. Immigration and Social Division - These two themes are explored by filmmakers who are committed to telling powerful and complex stories about borders – both real and psychological. Black Star - Following the BFI’s landmark season celebrating the range, versatility and power of black actors in film, LFF cites recent world events as giving new urgency to questions of opportunity, and basic human rights. Visionaries - LFF’s states that many filmmakers this year “impress with the singularity and power of their vision, with keen imagination and dazzling style”. Thrill - According to LFF, it is “a very strong year for global thrill seekers at the Festival, with a particularly strong showing from East Asia, which comes as the BFI embarks on the UK-wide season BFI Thriller, exploring how the genre reflects societal upheavals, fears and anxieties”. Strong Women - The Festival continues to promote the work of strong women behind and in front of the camera. At this year’s Festival, 61 women directors are represented in the feature film selection, approximately 25% of the programme. Deafness and Disability - LFF admits that the film industry “still has a long way to go in terms of representation for disabled people”. The LFF industry programme will include a partnership event on equality of opportunity and expression for deaf and disabled people working in film and television. What Do You Think Of LFF’s Line-Up? What do you think of this years BFI London Film Festival? It is certainly going to be an exciting (and busy) two weeks. Will you be attending? If not, what film festivals have you attended? I’d love to know in the comments section below or let’s chat over on Twitter or Facebook (@500DaysOfFilm). I absolutely adore your blog. It is exquisite and you have a great writing style. Congratulations on your writing style: you must be so proud of yourself. I have a thing about buttons too. You have such a great sense of style. Hope you received your 100+ page LFF brochure. I think I'll be spending around a week in London. I saw over 20 films last year which is nothing compared to some people. It's trying to strike a balance and not go over the top (2 or 3 a day is my maximum). Busy picking out my favourites ready to apply on 8 September.